Koch TwinTone III Review - Koch Is In The House! Fender Machete Review - There Will Be Blood! The name Ampeg makes bass players' ears stand up and tails wag. There is a good reason for that: launched during the 1969 NAMM, their SVT amp still has a leading position in the hearts and minds of most bass players. 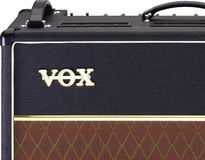 However, today we won't review a bass amp, but an amp conceived for six-string players. Focus on the GVT52-112 & GVT15H. Champion 600's test - Champion of the world ! It’s very fashionable to be mini. It’s very fashionable to be vintage. Fender is very fashionable... but why? Because Fender has released the Champion 600, a reissue of a mini, vintage, guitar amp, originally sold between 1949 and 1953. The concept is very basic, a 5 watt tube amp with a volume knob. So, is it a hit or a miss?